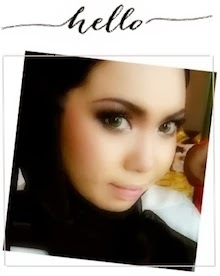 Shazwani Hamid's Blog: Psstt... My Prayer Has Been Answered!! Yesterday, I had difficulties when I was packing my stuff, and also when I was trying on different outfits with my shoes and bags, for the trip that I'm going with my beloved friends, on this coming Wednesday. I was trying to match my outfit and bag (and shoes!) for the places I'm going. Seriously, I am verry bad at packing my stuff! Packing really is one of the worst things about vacations. I hate to have to choose on what to take and what to leave out. So I always end up taking everything inside my bag! Fyi, this is the first time I'm going somewhere by train! And I am soo excited! hehe.. I dunno what should I wear or what should I bring! I mean, of course I'd wear normally.. and casually for the train ride.. But somehow I just thought that going for a long journey by a train, might make me feel uncomfortable a lil' bit after a few boring hours sitting in the train.. So I figured, a simple plain tshirt and jeans will do. Cuz we are going at night time.. And I might sleep on the train.. But the problem now is, I don't have a matching bag to go with my outfit! (and a proper sandal with no heel to be exact.hehe). Of course, I'm gonna need a bag right? To put my purse, handphones, ipod, tissues-wet & dry, some pads, mirror, lip balm and etc, right?? But I don't have one that looks just the right size and perfect and convenient for me as well. I don't wanna wear my usual serious handbags. I need a much cooler bag, pleasee! And then after that.. Just when we (my family) were having our dinner.. So my lil' bro, Aizat went to open the door and guess what??! He came in and brought up a big orange box and a purple paper bag in his hands! 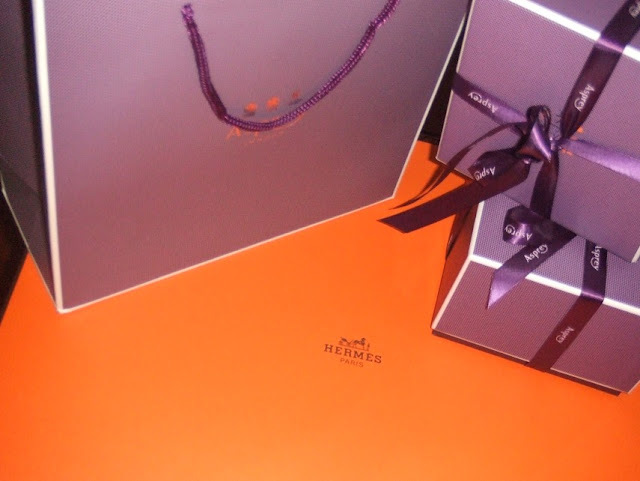 The gifts were: a hamper, ties from Asprey and a bag from Hermès! Can you believed it? And the best part is?? what a cute girl la u! just wear as simple as u can b.. alritey gal?? 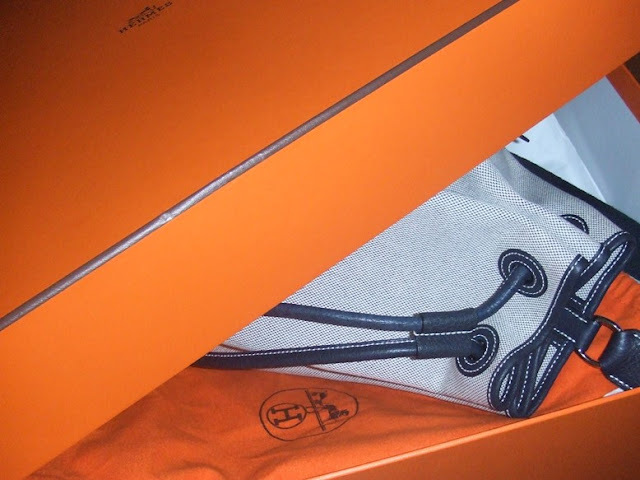 besnyeee dpt gift for valiram lagi..
wahhh..hermes o_o ..Pakcik Valiram sgt bermurah hatiiii..
U'll look great with one. Btw, happy packing, and dont forget the essentials, hehehe..
so enjoy ur train ride! from a silent reader of yours. omg.. u r so lucky shaz..
eh valiram send gift hamper to ur dad! how come! sounds like ur dad very atas orang now!? No wonder I always look a mess when I go out...sometimes I wonder how the others can look oh so chic..
patutlah....you guys really, really spend time to look good. wer ar yu gowing bai de wey?? I saw u a few times in Econs (coz I was from that Faculty too) and I think u look different from picture (positively seriously).. and just ignore all the sayings from weird people. not to offend anyone,but hey, cant they just read what people wrote without having thoughts to condemn ke? it's a free world. kan? I'm the one of your silent readers..I love to read your blog..such an inspiration la..
Have a safe journey Wani...nanti jgn lupe update dlm your blog tau pasal your trip ni..
OMG, I found someone who is exactly like me! I mean sangat complicated bile nak pack barang. semua benda nak pikir! Anyway, I have to agree with with of your readers, Ipanema is better compared to Vincci. Ringan pun ringan and tahan lama. org ckp pack lightly kan..tapi susah woo nak pack lightly..sebab kalau bawak baju extra leh mix and match or ada backup nak pakai in case baju kotor ke hape ke..